After reviewing by backlog of tenderloin visits and pictures, I noticed a striking omission. 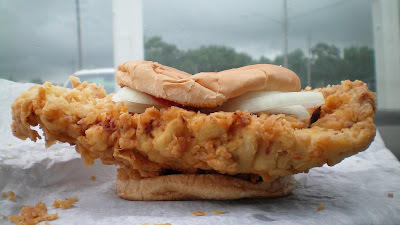 Western Iowa along I-80 has a dense cluster of five small cafes serving award worthy tenderloins. Is there something in the water here? Perhaps. Between Kimballton, Elkhorn, Atlantic, Exira, and Hamlin are enough great tenderloins to satisfy any craving. 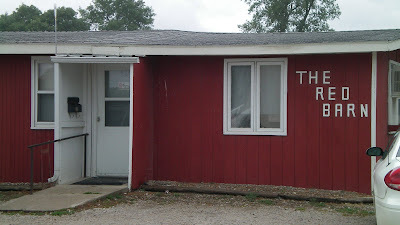 Location: 613 W Washington St, Exira, Iowa, population 810, about halfway between Des Moines and Omaha. Directions: Take the Highway 71 exit, and go north from I-80. 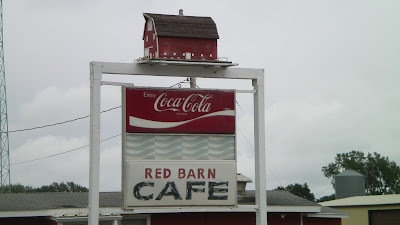 This cafe is on the secondary highway outside Exira, about six miles north of the Interstate. 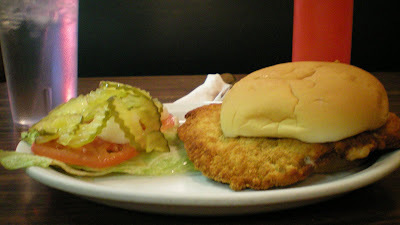 The Tenderloin: This one looked good and tasted good. 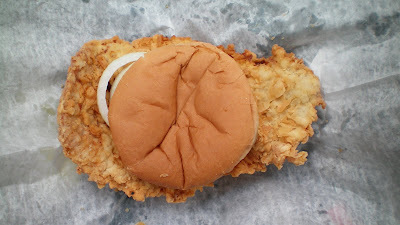 The tenderloin was good size and extended far beyond the bun. 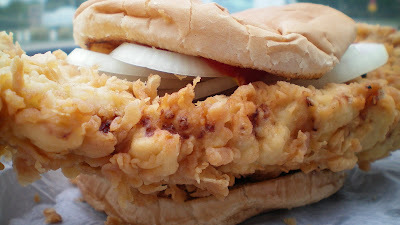 The fine breading had few crumbs and no grease. The white meat inside was tender and soft. Served on a toasted bun with optional fixins, they loaded mine with onions. Overall 8 out of 10. Price: $3.45, fixins $0.25 more, still a huge bargain also available grilled. Also on the menu: Fried chicken, sandwiches and a full breakfast menu. Ambiance: Its the inside of a mobile home. 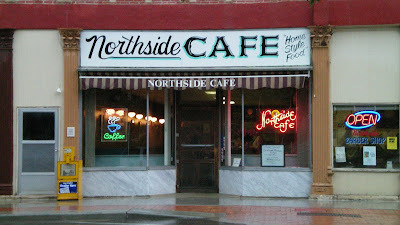 There are not nearly enough seats for people who want to dine here. Dust from the busy grain bin outside left a layer of stuff on my car and clothing. Locals gossip with employees in the small quarters that resemble a person's kitchen. Other patrons were ordering the tenderloin as well. Service: One server and another cooks, both never far from the patrons. Final Thoughts: This is a place that should have a price for locals and another one for tourists. 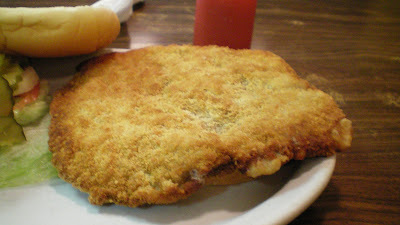 Its just not fair that out-of-staters could enjoy a tenderloin this good for less than three and a half dollars. 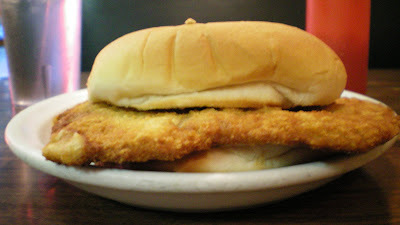 This dive serves a tenderloin equal to any of its neighbors in this serious tenderloin region of Western Iowa.